For today's post I have one Easter card which I made last night and one Sympathy card which I made this morning. 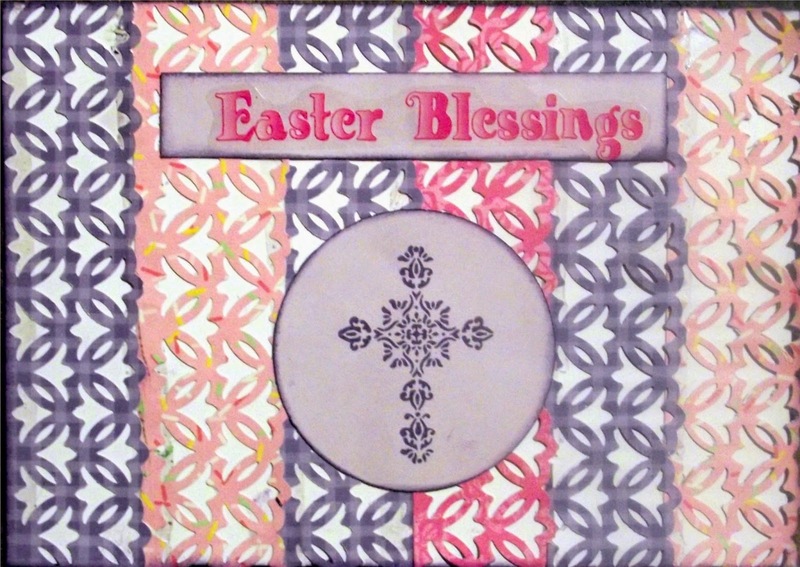 The Easter card uses a border punch to make the background. I cut strips of coordinating paper and used the punch and then adhered them closely together. I topped it off with a title sticker and a circle punch with a stamped cross. I entered this in the Spring is in the Air challenge #4 at Sketches4All calling for distressing or punching. All of my edges were distressed with ink and as I mentioned above the background is made with a border punch. I am also entering this in the Easter challenge #84 at Sugar Creek Hollow. This morning I found out that an old high school classmate and former neighbor lost his Mom. 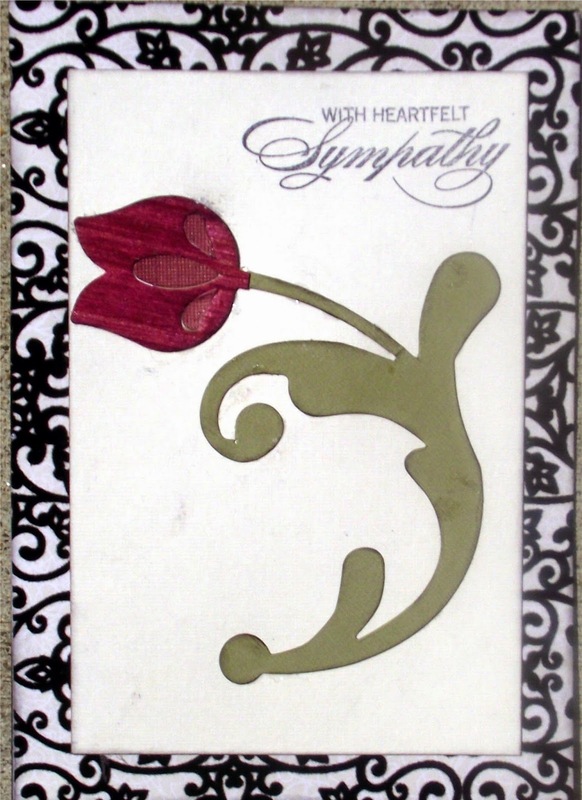 I put together this Sympathy card. I am entering this in Word Art Wednesday Challenge # 128 Anything Goes. I hope to complete 2 more Easter cards for my church to get mailed in the morning so I will post those tomorrow! Thanks so much for stopping by to view my creations. Have a great weekend, a Happy Passover and a Happy Easter. Lovely cards. Happy Easter to you also.